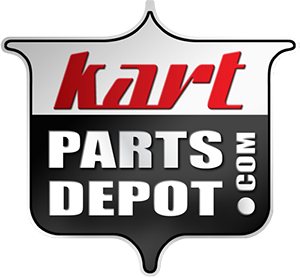 One of the most important components on a kart is the tire. Tires impact the handling and the speed of the cart directly and need to be selected based on a variety of factors. Most kart racers have a variety of tires to suit the elements on the day of racing because if you race go karts and want to win, understanding tires is one of the most important criteria for being successful. Slicks – These tires have absolutely no tread on them and are used for racing on a paved tracks. Treaded tires – These tires resemble car tires with normal looking treads. They do not grip the track as well as slicks, but provide a mechanism for water to be pushed away if you are on a wet surface. Knobby or studded tires - These tires are used in off-road environments where the cart needs to handle well on very rough dirt and uneven surfaces because they grip better. Stiff – if you are racing on a paved track, you want stiff sidewalls to prevent the tire from bending when you corner. Soft – if you are racing on very rough terrain, a softer sidewall will help provide some cushion and allow the tire to conform to the uneven racing surface providing more grip. Some karts will use smaller tires up front to make it easier to steer. The diameters are the same, but the widths are typically different. For racing on an oval track, tires are typically different sizes on left and right. Tire pressure is extremely important. Make sure all tires are properly inflated (within the manufacturer specified range) each time you go out. Underinflated or overinflated tires will not wear as well so you will reduce the life of the tires. Tires improperly inflated can also cause stability problems because they will not have the proper shape. More about this next time.